IND vs ZIM 3rd t20 is to start at 4:30 pm IST (12 pm BST). There will be no live telecast of the match in the United Kingdom. Ten 1 Hd and Ten 3 will broadcast it in India. Also, it will be able for watch online stream on starsports.com hotstar.com, ozee.com, sonyliv.com, etc. Willow TV will do the job in the US. Zimbabwe lost all the three ODIs against India and as a result, India whitewashed the one-day series. 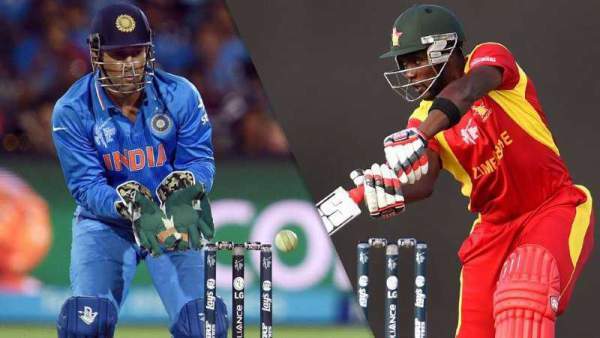 It’s now the time for the T20I series in which the first T20 went into the favor of Zimbabwe, but Indin cricket team won the second match. The hero for the first match Elton Chigumbura was able only to make 99 runs with the loss of 9 wickets in 20 overs. It was only Peter Moor who showed a little struggle and was able to score a maximum of 32 runs individually. The hero of the first game Elton Chigumbura got out with a score of just eight runs. In the second match, the Zimbabweans set the target as 99 runs. Thus, the bowlers couldn’t do anything good as they didn’t have anything much to defend of. As a result, Indian batsmen made and reached the target without any problem. Zimbabwe has got its best t20 squad and is not likely to witness any change in the playing xi. After losing the ODI series, Zimbabwe bounced back in the first t20, and it looked like that it is going to repeat the history. However, Indians bounced back in the second t20 and leveled the series with one win each. Now, today’s third and final game of this series will decide the winner. The hosts will need to have all the departments of cricket intact and strong. Seamer Barinder got his dream debut. He took four wickets by giving just ten runs in his spell. Thus, he was awarded the man of the match award. On the other hand, Indian key players like KL Rahul and Mandeep Singh presented their poise and grace game. Finally, as the results were announced, they won it. For this match, Indian captain MS Dhoni may give a chance to batsmen Fail Fazal and Kedhar Jadhav to utilize the situation and prove their mettle in the game. Weather Report: Conditions look good for a game of cricket with temperatures hovering around 21 degree Celsius. No chance of rain. Possible (Playing) XI: Chamu Chibhabha, Hamilton Masakadza, Peter Moor (wk), Sikandar Raza, Elton Chigumbura, Tinotenda Mutombodzi, Malcolm Waller, Graeme Cremer (c), Neville Madziva, Taurai Muzarabani, Donald Tripano. Probable 11: Lokesh Rahul, Faiz Fazal, Mandeep Singh, Ambati Rayudu, Manish Pandey, MS Dhoni (c & wk), Axar Patel, Dhawal Kulkarni, Jasprit Bumrah, Barinder Sran, Yuzvendra Chahal. Stay tuned to The Reporter Times latest cricket news and updates. Don’t forget to check back later to check the results, high confidence, full highlights, scorecard and much more.